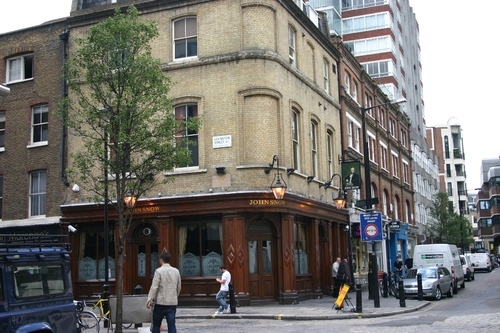 The "John Snow Pub" - at the corner between Poland Street and Broadwick Street in London - marks the site of the historic Broad Street Pump associated with John Snow's discovery, in 1854, that cholera is conveyed by water. 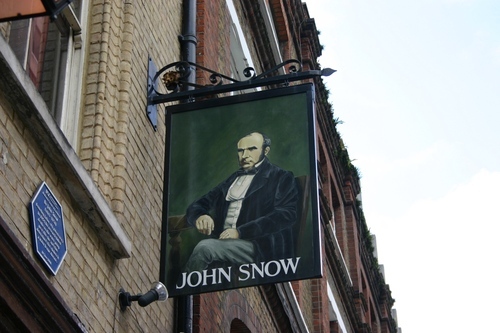 A Blue Plaque, placed by the Royal Society of Chemistry in 2008 as a 'National Chemical Landamark' states: "Dr John Snow / (1813-1858) / Founding father of Epidemiology. 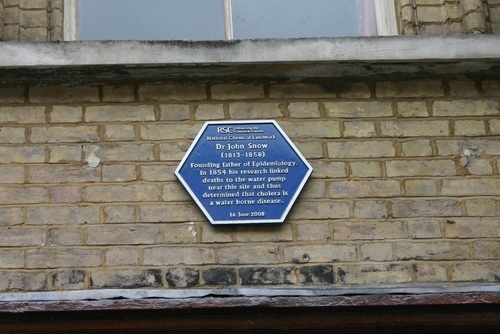 / In 1854 his research linked / deaths to the water pump / near this site and thus / determined that cholera is / a water borne disease. 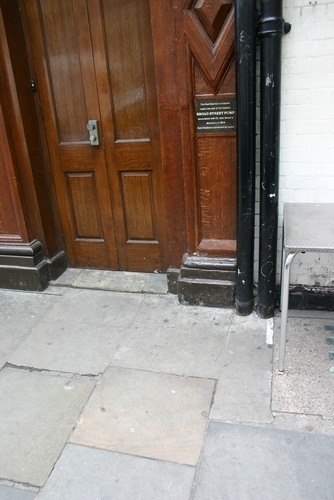 / 16 June 2008". 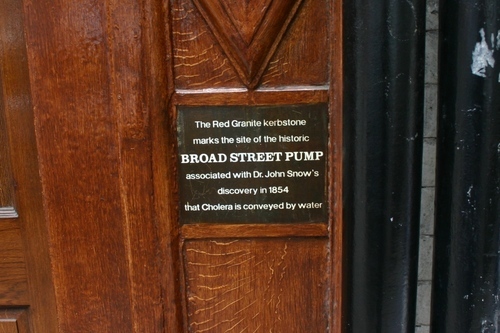 A modern replica of the original pump can be seen a few meters away from this site.